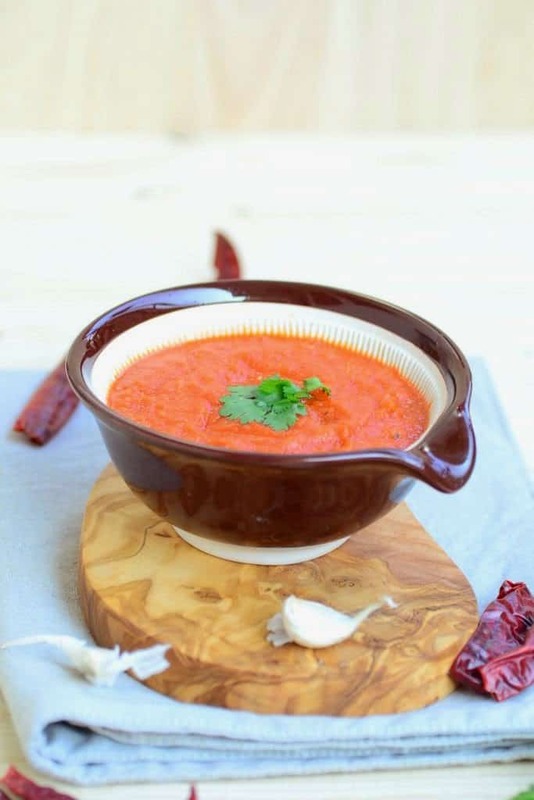 This spicy Garlic Chutney is a traditional Rajasthani recipe and is usually served along with Dal Batti and Churma, although it can be served with any meal. It has a punch to itself from the amount of garlic that has been used to make it. The flavors are very well balanced by Amchoor Powder and red chilli powder. 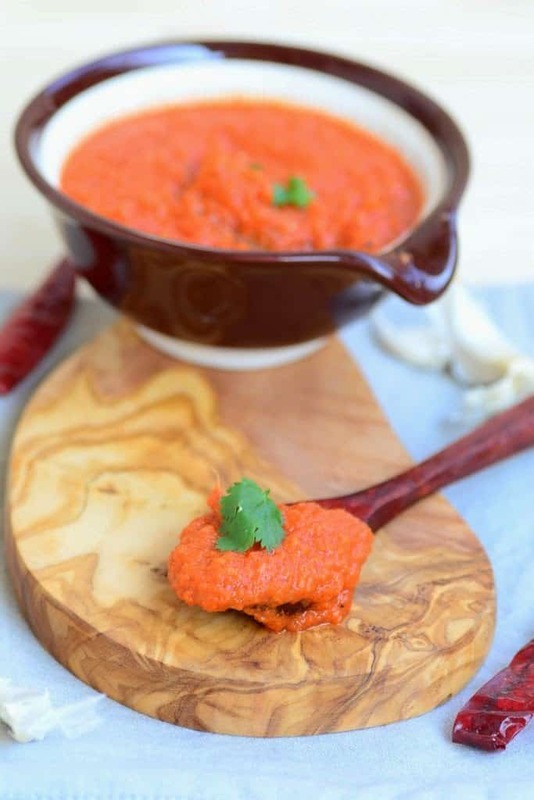 Lots of garlic cloves are blend together with red chili powder and a few other ingredients to make this flavorful Chutney. The chutney keeps good for almost a week in the refrigerator and can be enjoyed with almost any meal. It’s quick to make and takes any Indian meal to a different level. There is also a dry version of this chutney but that I will share later. 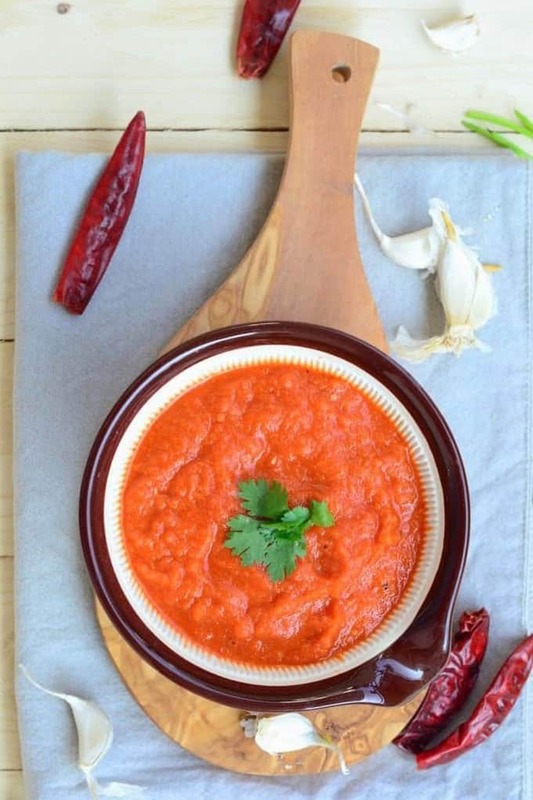 Here is the recipe to make traditional Rajasthani style Garlic Chutney. Recipe to make Panchratan Dal is Here. Recipe to make Churme ke laddo is Here. 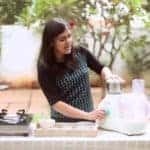 Grind all the ingredients in a blender to make a smooth paste. Store in a clean glass jar for up to a week in refrigerator.